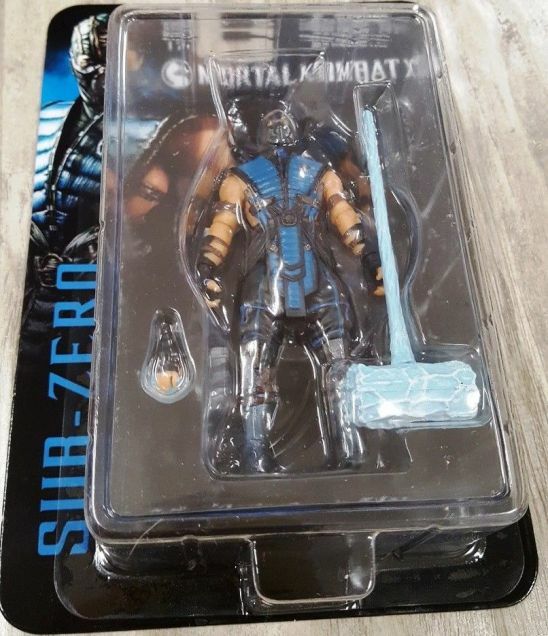 Mortal Combat Sub Zero 3 3/4 Action Figure Mezco *SLIGHTLY DENTED BOX* [89202-SLIGHTLY-DENTED] - $19.99 : Mystic Crypt, the most unique, hard to find items at ghoulishly great prices! 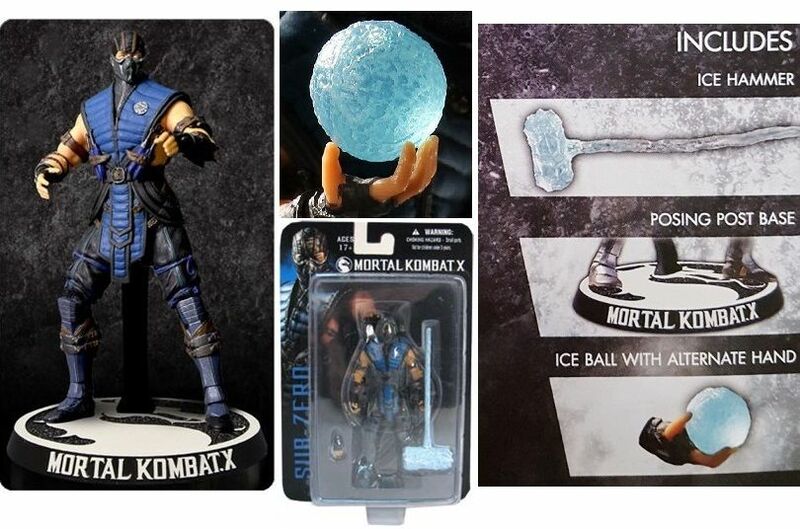 Over two decades of success and with nine games in its legacy, the Mortal Kombat brand celebrates it's tradition with the Mortal Kombat X 3 3/4-Inch Action Figures. 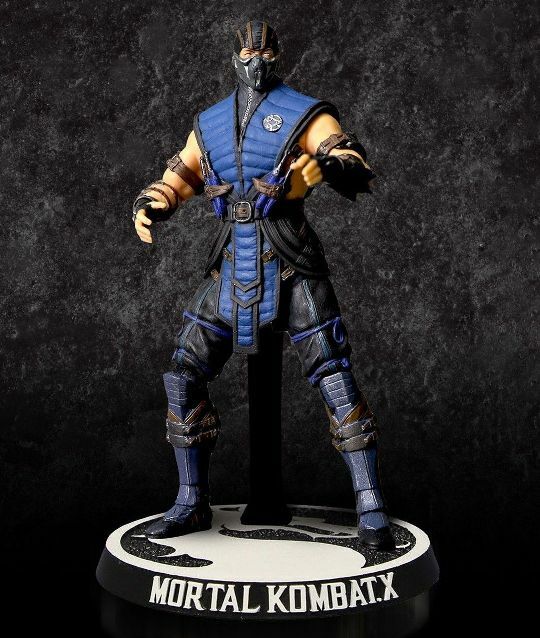 To ensure accuracy, each action figure and their features were digitally sculpted using the digital files from the game developers themselves. 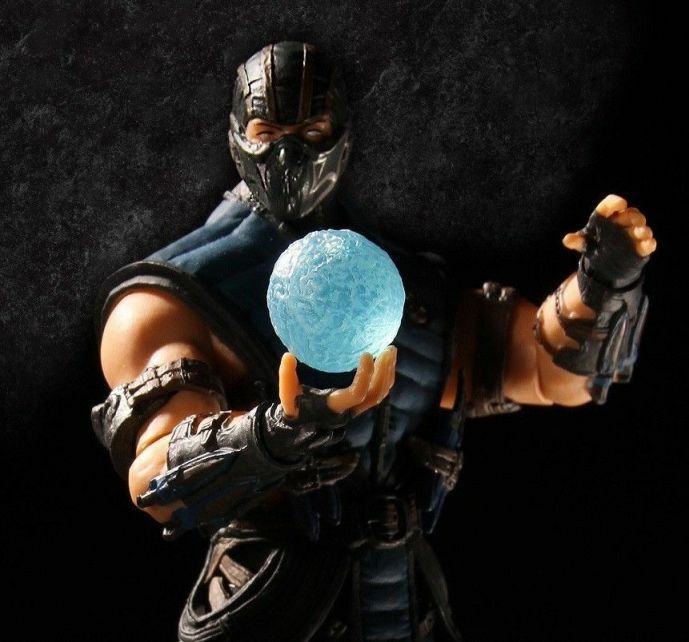 Sub Zero, the cold-blooded assassin, stands atop the Mortal Kombat X logo base in his iconic blue outfit and face mask. 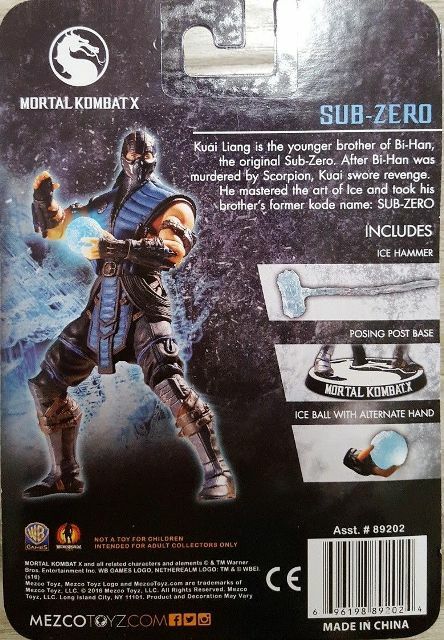 He is designed with more than 23 points of articulation and comes with game accurate accessories like his hammer and alternate ice ball hand so you can recreate your favorite Sub-Zero pose from the game. 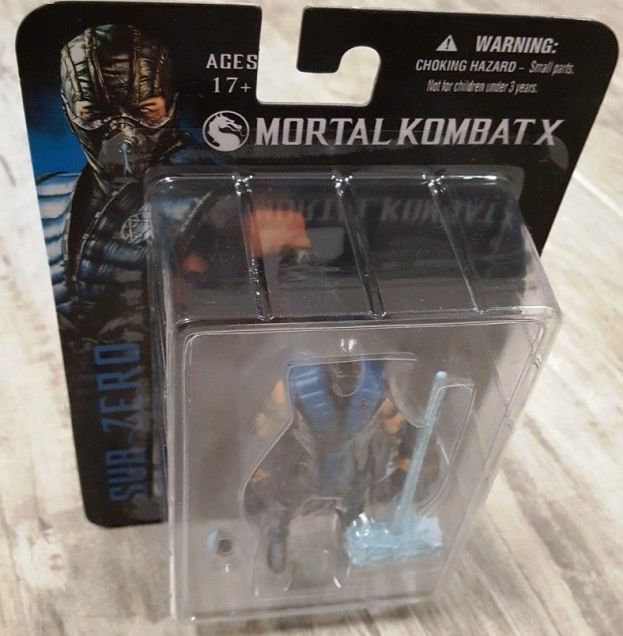 Designed with collectors in mind, this Mortal Kombat X Sub-Zero 3 3/4-Inch Action Figure comes packaged in a collector-friendly blister card, perfect for display. Ages 17 and up.